Ultraviolet disinfection is permitted within milk production facilities and stipulations are provided by the FDA under the Pasteurized Milk Ordinance (PMO). 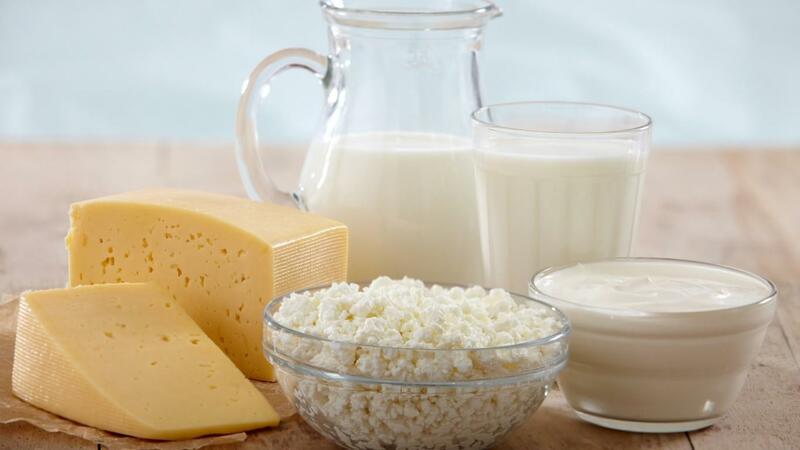 One of the ways in which UV may be used in the dairy industry is in the creation of pasteurized equivalent water. The pasteurized product water reduces water consumption from external sources and increases facility sustainability. The regulated process is not for the pasteurization of milk, which itself has nearly no UV transmittance, but for the disinfection of a byproduct from whey production. After the removal of nearly all components from milk, the remaining product, called cow water, is already very similar to water. Once the water is disinfected to remove milk-borne pathogens, the water can be reused for general water purposes throughout the milk production facility. Facilities under the purview of PMO are those producing, processing, and packaging regulated Grade A liquid milk products. Pasteurized equivalent water produced following the PMO standards can be used without compromising the Grade A status of a production facility. However, the PMO provides the minimum requirements for a milk production facility and additional requirements may exist at the state level. Pasteurization for milk is a thermal process, termed a high temperature, short time (HTST) process. While the dairy facility already has the machinery for thermal pasteurization of cow water, it is not cost effective compared to methods such as UV Disinfection. Due to the much higher transmittance in cow water, UV disinfection provides an easy alternative. Additionally, UV has the ability to inactivate thermotolerant pathogens that are not easily removed using HTST. The pasteurization requirement is a 5 log pathogen reduction, which HTST achieves easily. UV achieves 5 log reduction of E. coli with a dose of approximately 15 mJ/cm2. Doses of 4–12 mJ/cm2 provide 1 log reduction of thermotolerant pathogens. The FDA requirement for the creation of pasteurized equivalent water is a minimum UV dose of either 186,000 mJ/cm2 for low pressure units or 120,000 mJ/cm2 for medium pressure units to the entire volume. The rules outlined by the FDA require that the minimum dose is met at all times via system maintenance as well as continuous measurement of each UV lamp energy using a UV intensity sensor. Additionally, the UV dose must be calculated and adjusted automatically to correspond to the measured transmittance. Since the UV dose is a function of the water transmittance, it is vital to obtain accurate readings of UV transmittance using a UV transmissivity analyzer. UV dose is calculated as the UV intensity multiplied by the contact time and divided by the transmittance. The move towards cow water reuse and UV disinfection are steps in the direction of sustainability. Incorporation of pasteurized equivalent water in a milk production facility reduces the overall water usage and UV disinfection is a low cost way to produce pasteurized equivalent water. The affordability and reliability of UV disinfection units and related parts make the decision worry free. Lastly, FDA guidance and regulation for acceptable treatment processes makes the transition smooth. Like this post? Subscribe to our blog for monthly recap of new posts.